Visual hierarchy is the method to organize your design in such a way that it adds visual appeal and makes maximum impact on viewers. More importantly, it gives you control over what you want your viewers to focus on. What will be the information flow? How will the information be absorbed by the brain? Visual Hierarchy governs all these aspects and much more. We live in an information age where we are exposed to a sea of information on a daily basis. This makes it very difficult to extract relevant information from tons of raw data and maintain focus. The visual hierarchy can help you maintain a focus of the viewer on your design despite a lot of noise and useless information. In order to get the best results out of visual hierarchy, you should know the key principles. 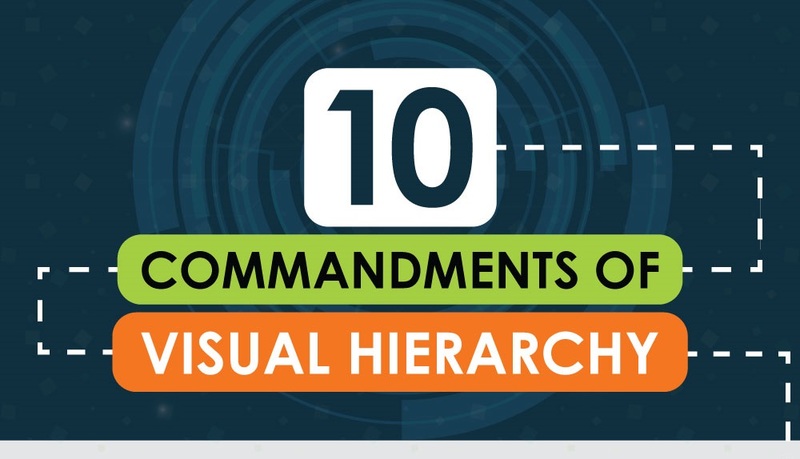 This infographic will highlight Ten Commandments of visual hierarchy that you must follow in order to deliver the wow affect with your designs.